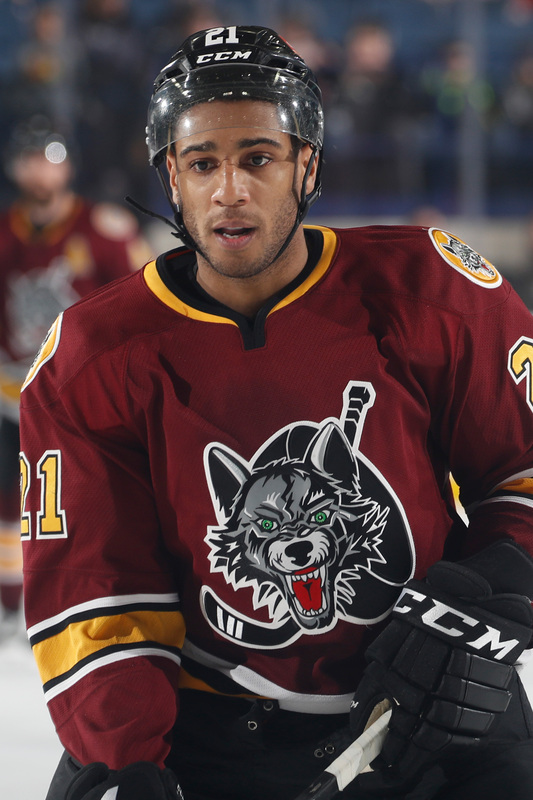 The American Hockey League announced Thursday that Chicago Wolves forward Scooter Vaughan has been selected as the winner of the Yanick Dupre Memorial Award as the 2017-18 IOA/American Specialty AHL Man of the Year. Vaughan, a 29-year-old Placentia, California, native in his third season with the Wolves, combines his effortless charm, sharp business mind and keen sense of empathy to serve as a force for good throughout the Chicago area. When it comes to helping others, it’s almost absurd how willing Vaughan is to volunteer his time and energy. The same scenario plays out each time a teammate or a front office employee approaches him with a request or an idea. Before the person can get in another word, Vaughan cuts the conversation short. When Vaughan’s in, that means everyone who attends a public Wolves function gets his rapt attention. 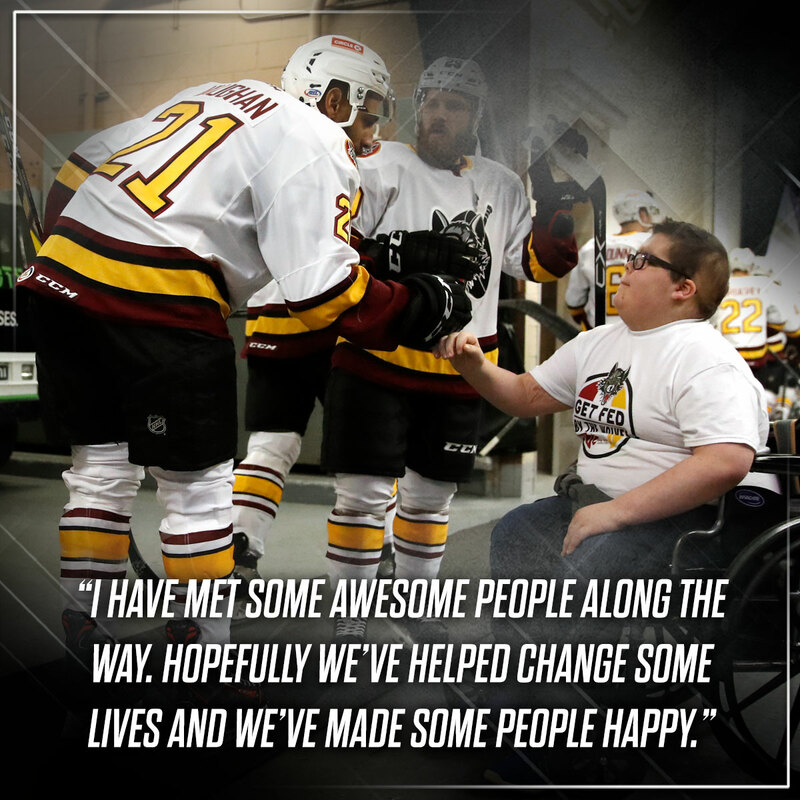 As the team’s most popular player, his presence and wit and fundraising skills has enabled Chicago Wolves Charities to increase its ability to raise money for the many Chicago-based charities it supports. When Vaughan’s in, that means his philanthropy extends to his own initiatives. The University of Michigan graduate paired his business sense and large network of friends with his desire to help young people and founded Kids For Camps. The new charity aims to build brighter futures for lower-income youth by giving them a chance to attend sports or arts camps on scholarship. AHL president and CEO David Andrews will present Vaughan with the Yanick Dupre Memorial Award prior to Saturday’s 7 p.m. game against the Rockford IceHogs at Allstate Arena. Dupre, who played four seasons for the AHL’s Hershey Bears, passed away in 1997 at the age of 24 following a 16-month battle with leukemia. Vaughan also will be honored Saturday with the Dan Snyder Man of the Year Award, which goes to the Wolves player who demonstrates the most outstanding dedication to Chicago-area community service.